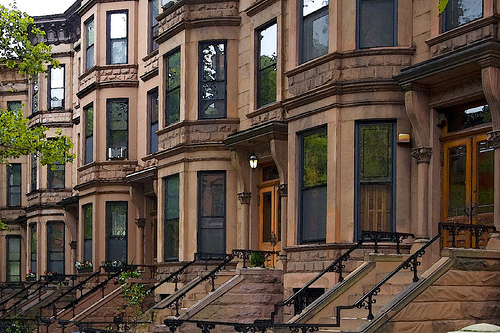 The Boston City Council and Mayor Menino’s Office have passed a sweeping new rental property registration and inspection ordinance which is now effective for the year 2013. The new ordinance requires, among other things, that all rental property owners register with the Inspectional Services Department (ISD), and are subject to inspections every 5 years. Details of the new ordinance are summarized below. All rental property owners, regardless of state residence, must register their rental properties with ISD. This also includes condominium units which are rented out. Excluded from the inspection requirements (but not the registration requirements) are owner-occupied buildings containing no more than 6 units, licensed lodging houses, government owned or operated housing. What are my registration obligations? Landlords are required to register with ISD no later than July 1 of each year. A fee of $25/unit will be charged. All non-resident owners must designate a Boston-based resident agent to accept service of process on the owner’s behalf. You can now register online at Cityofboston.gov or download an application from the same site. The City has also posted a Frequently Asked Questions Page here. When will my rental property get inspected? ISD will inspect rental properties at least once every 5 years. ISD intends to first inspect the “problem” properties which have a history of code violations. Landlords will receive a notice from ISD about the inspection. Landlords have the option of having an outside “authorized inspector” perform the inspection at the owner’s expense. Annual inspections conducted by the Boston Housing Authority (BHA) and similar government programs will be accepted by ISD. For most buildings, the inspection fee is $75 for the first two units, and $50/unit thereafter. Are there any new signage requirements? Yes. A sign of not less than 20 square inches must be posted adjacent to the building’s mailboxes or other conspicuous location. The sign must contain the contact information of the landlord and property manager, if any. My property has been cited for violations in the past. Will this be a problem? Problem Properties must be inspected every year and the owner must submit a management plan to address the issues. How do I coordinate the inspection with my tenants? A tenant is entitled to “reasonable advance notice” before an inspection. If access is denied, the landlord must notify ISD within 7 days, and if ISD verifies same, the landlord will be exempted from inspection for 1 year. Tenants are entitled to a copy of all inspection reports. I am buying a rental property. By when does the new owner need to register? ISD must be notified of the sale of any rental property 30 days after the closing, and the new owner must register with ISD within this 30 day window. Within 90 days of closing, the new owner must complete any pending inspection or submit an application for approval of an alternative inspection plan. Richard D. Vetstein is an experienced Greater Boston landlord tenant attorney who represents rental property owners throughout Boston and Massachusetts. You can contact him at 508-620-5352 or at info@vetsteinlawgroup.com.